STEP 1: Email your order, include your Name, Address, Phone Number and Fatbusters Products ordered. STEP 2: Call the Fatbusters Payment Line at 1-804-747-3488(FITT) reference your order and provide your credit card information. 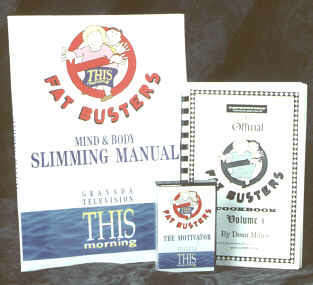 STEP 3: We will ship you the Fatbusters Products you ordered. STEP 4: We will bill your credit card for the total price of the products shipped plus $14.95 for shipping. STEP 5: Use the Fatbusters Program to get in the BEST Shape of Your Life! CLICK HERE TO EMAIL YOUR ORDER TODAY!